MMS material management system (Purchase Software) helps you to manage your stock and purchase operations. Increase table turnover, sales and profitability. Remote prints of kitchen tickets at different locations like KOT,BOT. Less walking allows staff to concentrate on their job. More than 50 analysis reports. Remote access to the system from PC and mobile. Installed at more than 800 restaurants across country. 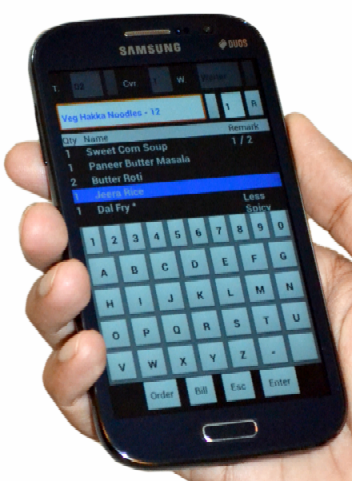 Wireless ordering support on android mobiles and tabs.